Welcome to TinyHouse43.wordpress.com, a blog about our journey from our Texas-sized McMansion 2 a mobile Tiny House Fo4r Thr3e! 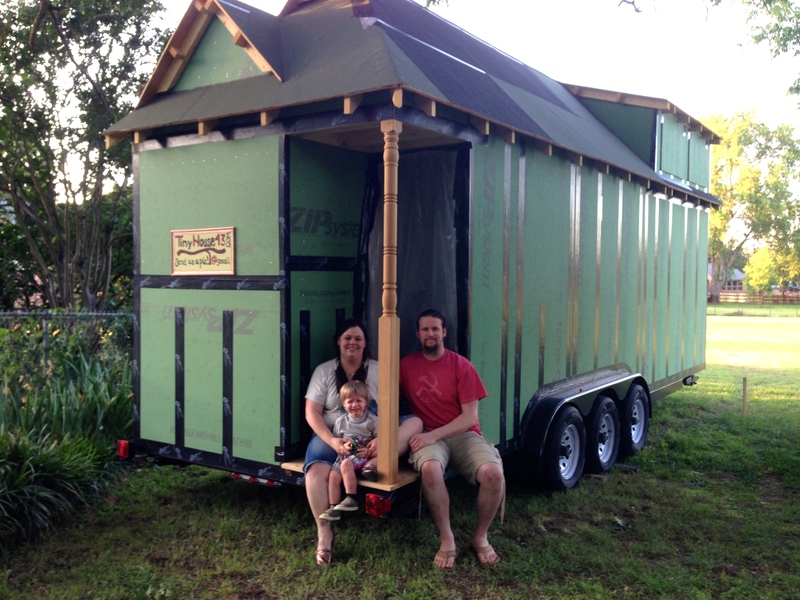 We are Meg, Brandy, and R.A.D of TinyHouse43.com, and we want to welcome you to our blog! Whether you’ve been following us since December 2013 when we officially started our journey to the tiny life or you’ve only recently come across our posts or Facebook page, we hope you’ll enjoy reading through our process of downsizing from our 3,193sft home, moving into our “half-way house,” and finally finishing the build of our 172sqft (+ lofts) Tumbleweed Barn Raiser. 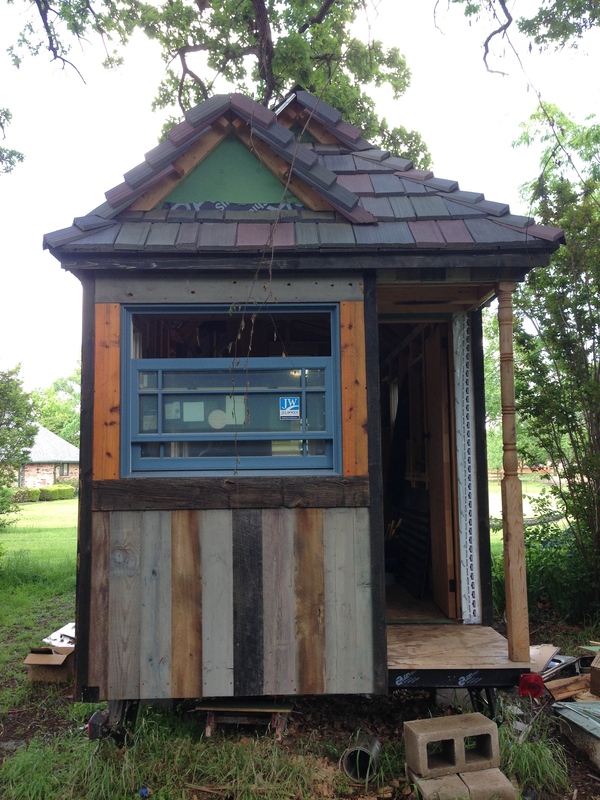 Check back frequently as we post about building decisions, products we chose, lessons we’ve learned, and discussion on any issues that arose both as we progressed through the build and while living in it full-time. Hopefully you’ll find inspiration for your own tiny house dreams and learn from any hiccups we experienced along the way. We are updating our website and blog formats, but all the features of the original WordPress blog are still intact. 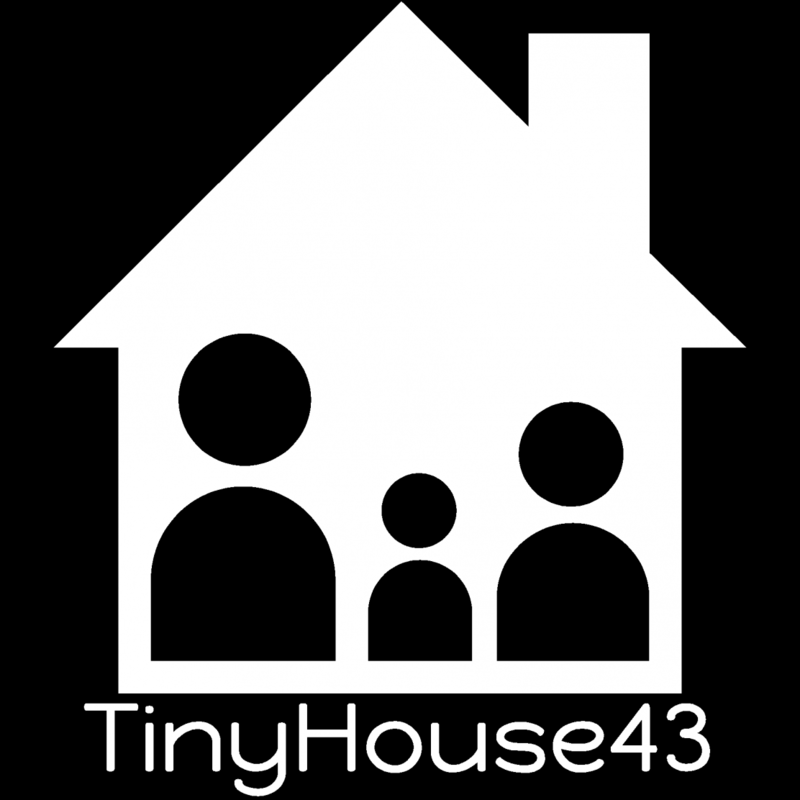 Please feel free to browse through the archives here, but when you’re done head back to www.TinyHouse43.com for the latest updates and photos from our journey to the tiny life! ***MAY 2016 UPDATE*** We purchased Tumbleweed Tiny House Co’s Amish Barn Raiser 24′ Cypress model that we picked-up in Colorado Springs May 2014 with our new Dodge Ram 3500 dually, the heart of our traveling tiny house! We spent August 2014 through early October 2015 building on the house as much as we could for a job transfer to Colorado with Meg’s company. It wasn’t totally done to the tee and lacks some cosmetic work still, but we were able to spend our first winter in our tiny house in the town of Loveland at a tiny-house-friendly RV park called Riverview. It was such a wonderful experience and we’re so grateful we had it, but extenuating circumstances and the desire to really, truly finish the house brought us back to Texas for a while starting April 2016. Colorado was never intended to be our permanent home, but the ultimate kicker was that our finances actually worsened rather than improved during our time there. It was bittersweet for certain since it was meant as a sort of working vacation, but ultimately this will give us an even better financial standing before we set out on our road trip across the country and ultimately concluding with a permanent move to Washington state. We’ve learned over the years that flexibility is key no matter how set in stone ones’ plans may seem to be, and this setback is really just a better setup for the end game: a mini homestead in Washington. And if we’re lucky, we’ll find a way to have a tiny house B&B or perhaps rentals for others interested in tiny living to try out as well. We dare to dream a little bigger, darling! Sounds like quite a plan. We just sold everything and moved to Bacalar, Mexico from Austin, Tx. We are building a tiny house to live out our dream. Follow our blog. Am really interested to follow your story. We (husband and I and our two toddlers) just sold almost everything and moved onto a boat. Thanks for sharing your story.